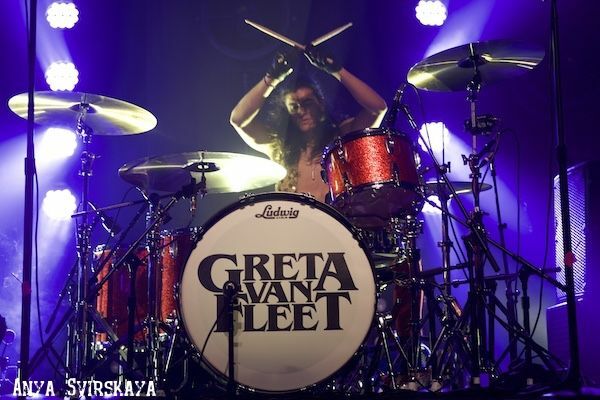 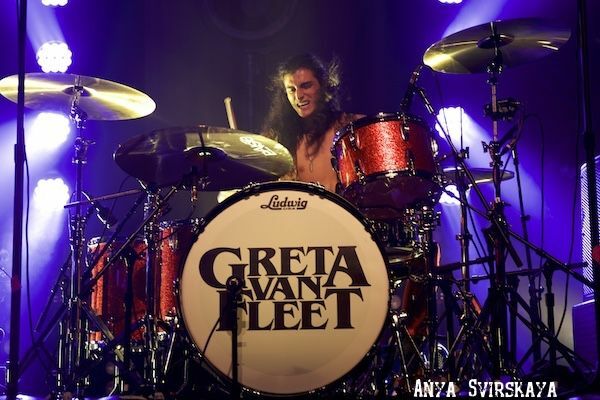 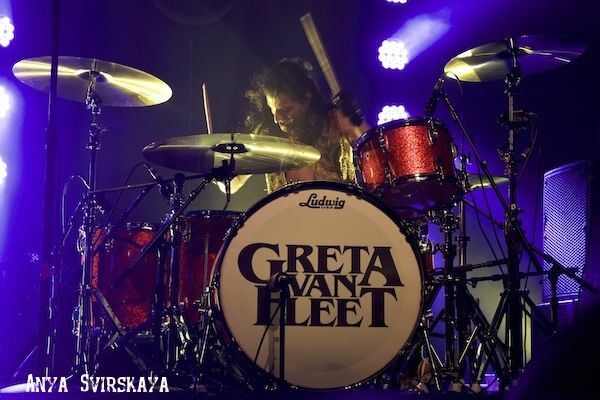 Tonight, New York City, which was once the hotbed for rock music, was rocked and rolled by the up and coming hard rock band Greta Van Fleet. 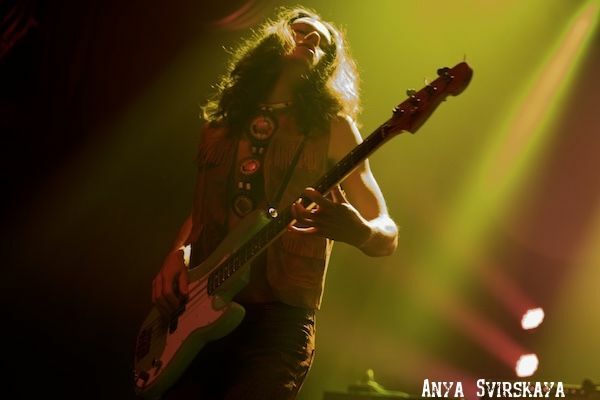 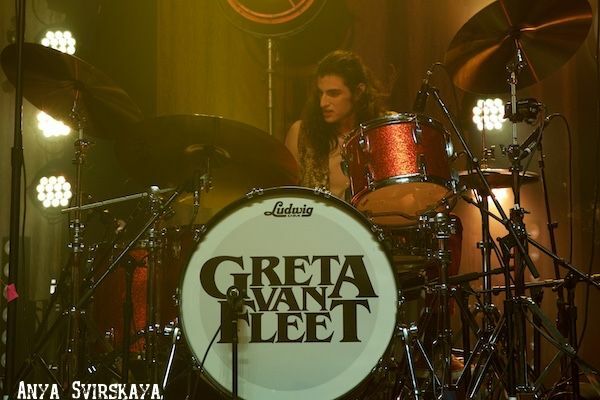 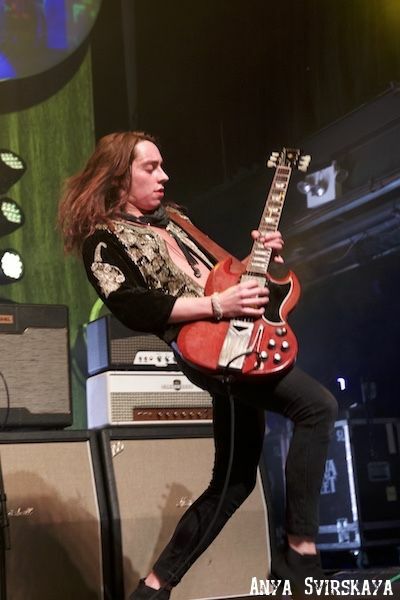 Hailing from Frankenmuth, Michigan, the band consists of vocalist Josh Kiszka, guitarist Jake Kiszka, bassist Sam Kiszka, and drummer Danny Wagner. 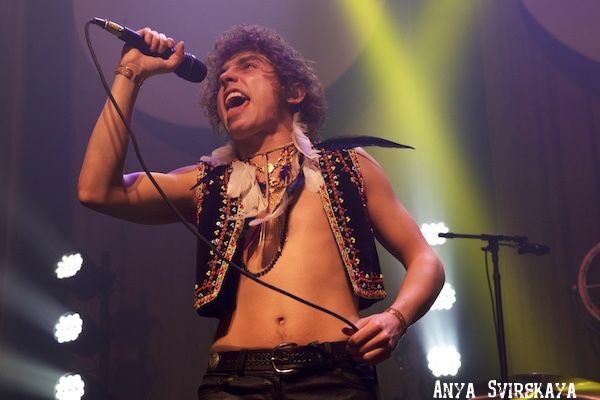 Greta Van Fleet sold out three nights in a row at the intimate venue, Terminal 8. 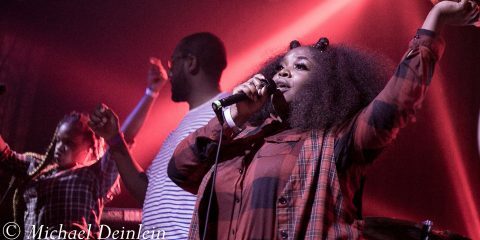 The audience consisted of people of all ages, something that is a rarity in this city. 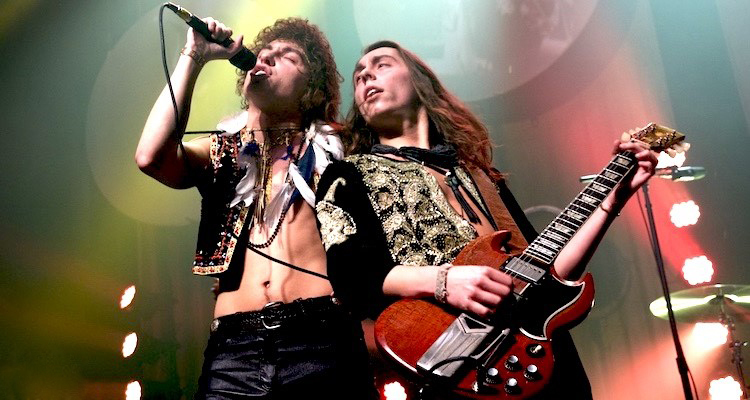 The band opened with “The Cold Wind” from their debut full-length studio album, Anthem of the Peaceful Army. 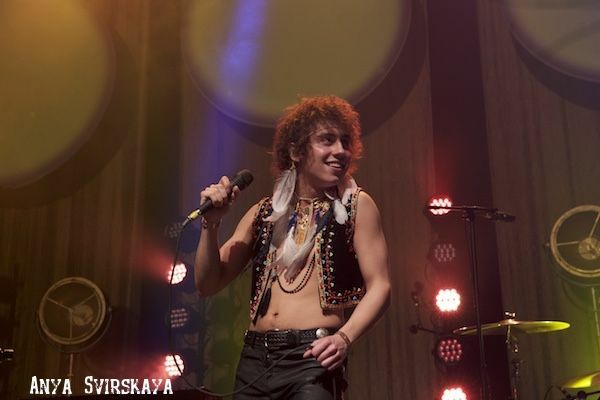 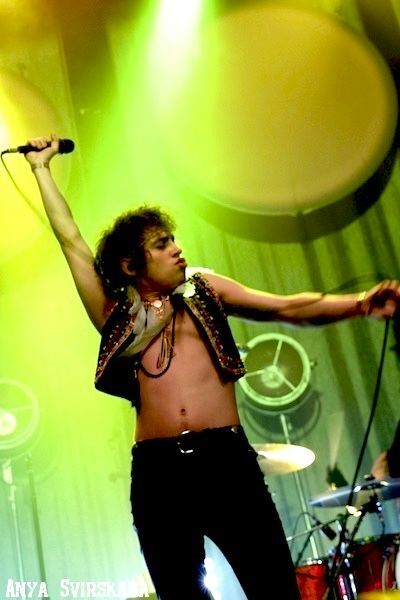 Lead vocalist Josh Kiszka works the crowd with his ever growing stage presence. 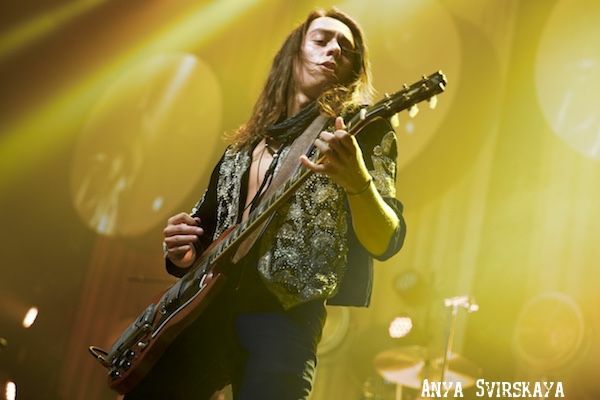 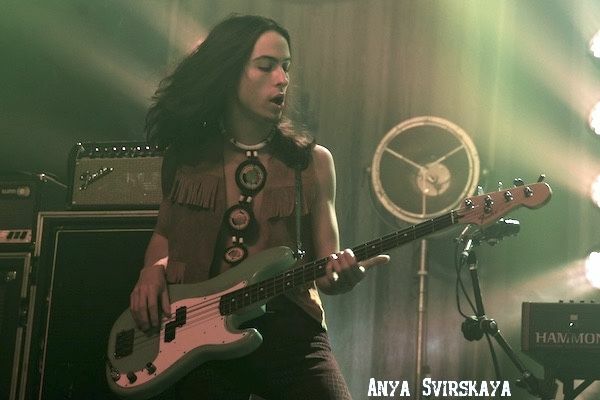 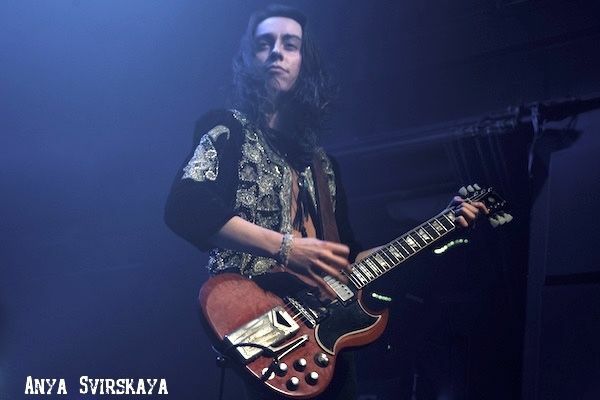 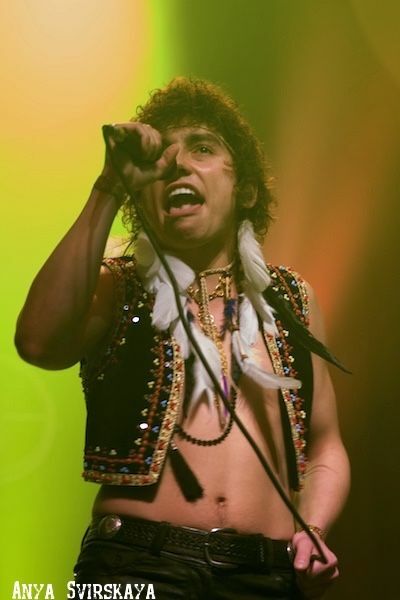 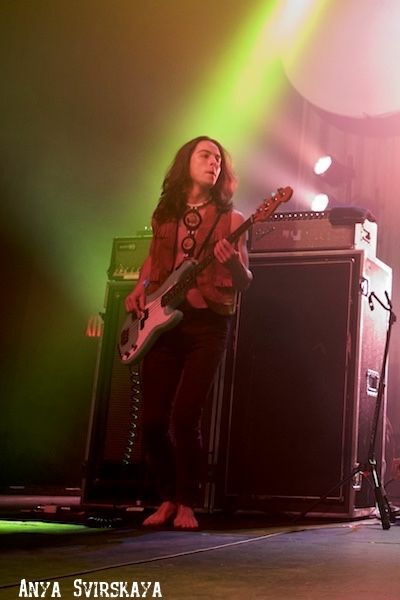 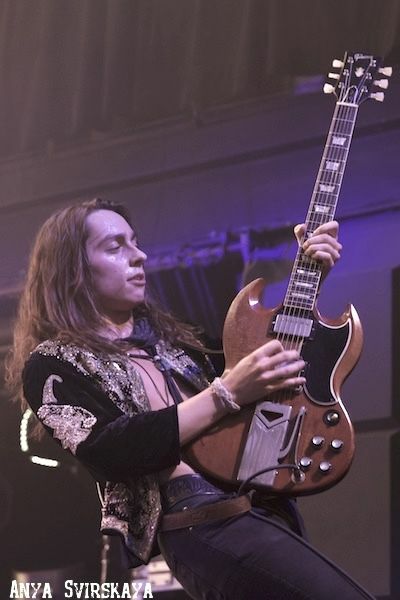 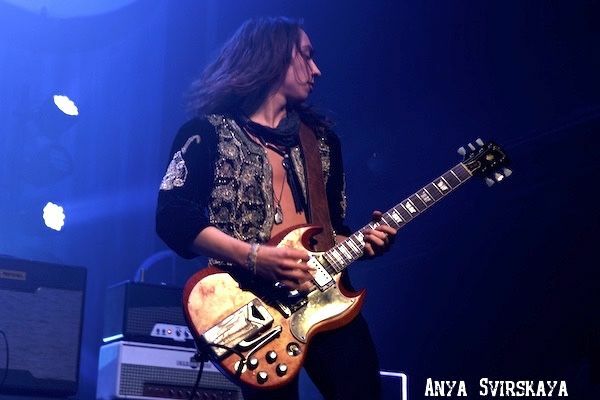 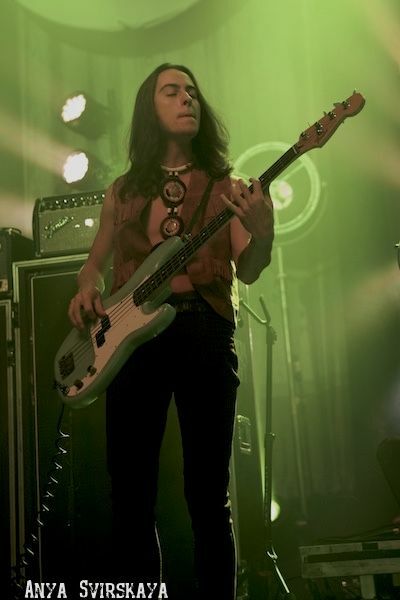 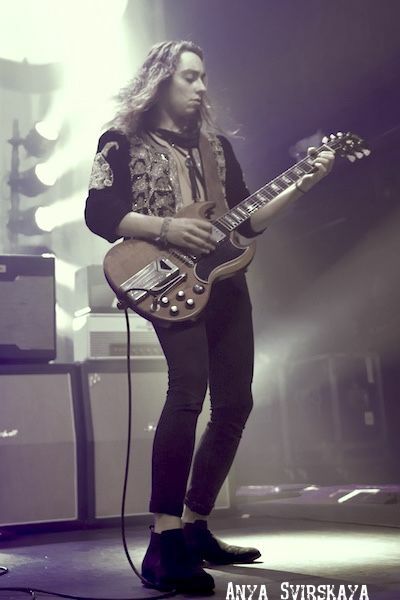 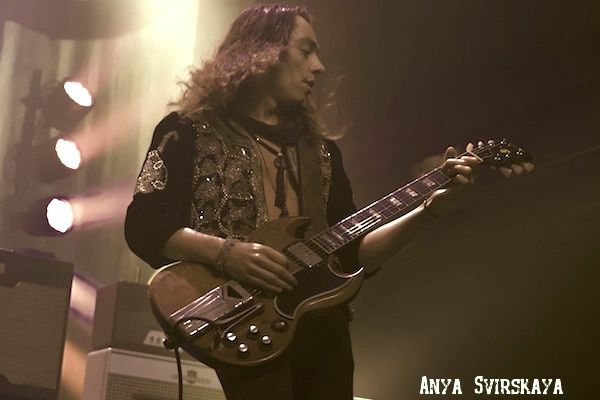 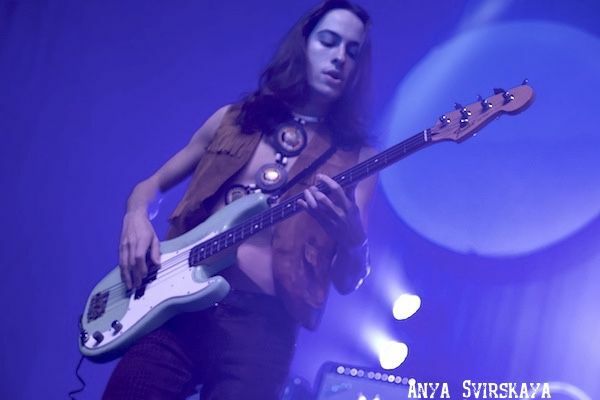 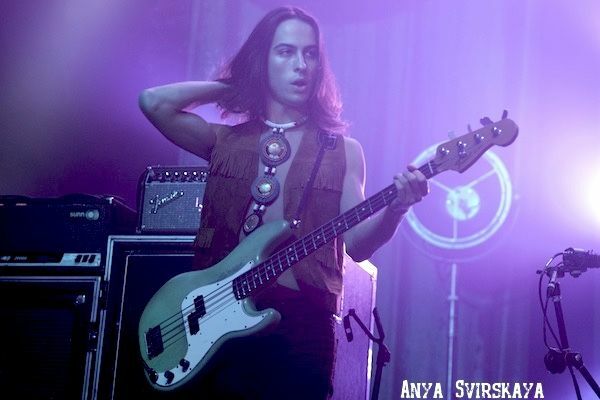 After the first song, guitarist Jake Kiszka ripped into the opening riff of “Safari Song” from the 2017 E.P, Black Smoke Rising. 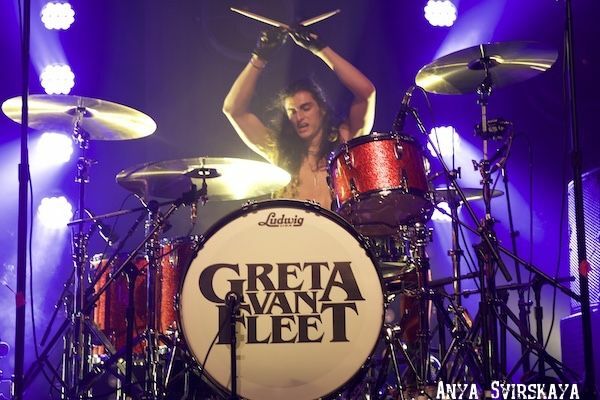 Danny Wagner then treated the crowd to an early drum solo. 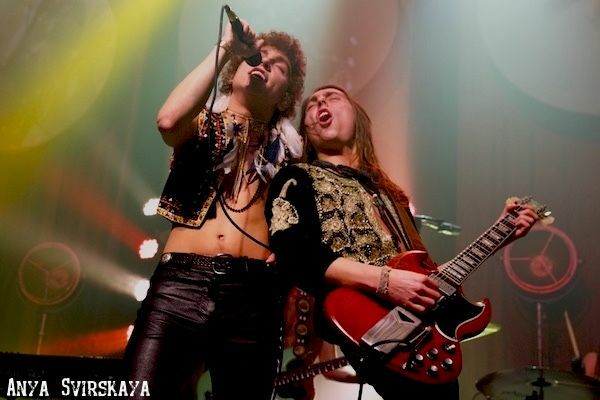 To jumpstart the vibe again, the band went into the anthem-like song, “Black Smoke Rising.” The audience did their best to sing along with Josh’s Kiszka’s falsetto. 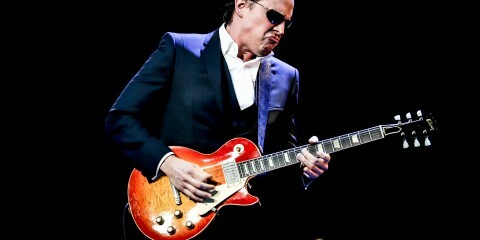 The following song, “Flower Power,” felt easy and romantic; a real crowd pleaser. 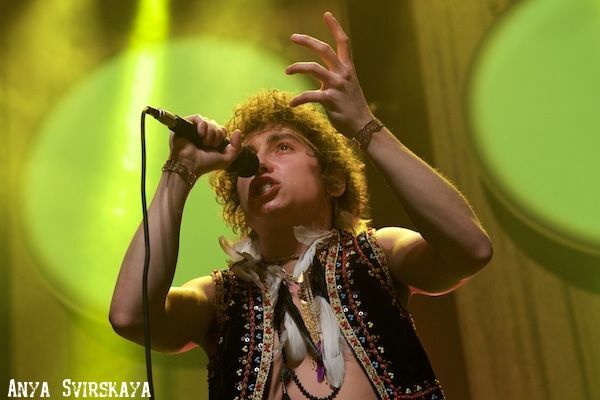 It has a heavy emphasis on an electric piano, with the retro sound of a Hammond Organ, followed with the beautiful chorus of “Ma ma ma ma ma ma ma,” along with guitar and the organ working together to create an otherworldly presence. 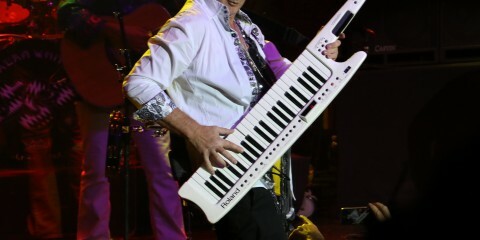 This is a crowd favorite, and one of the most romantic songs to ever pop up on the radar of power ballads. 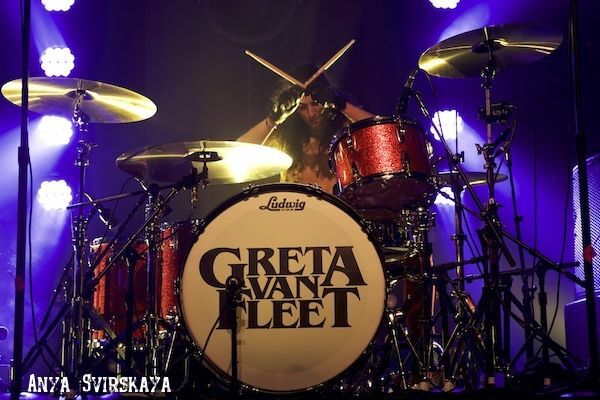 The audience was treated to an unreleased song called “Black Flag Exposition,” which features a portion of “Lay Down (Candles in the Rain)” by Melanie Safka. 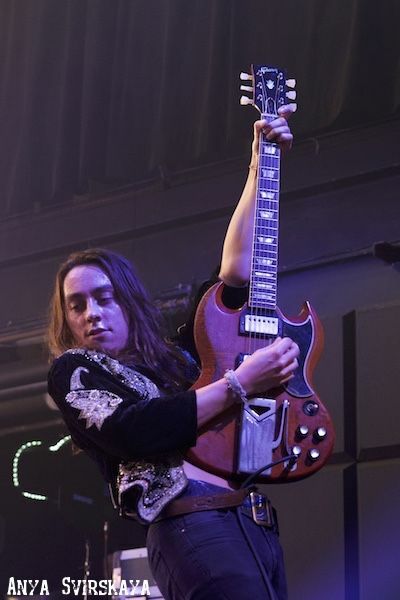 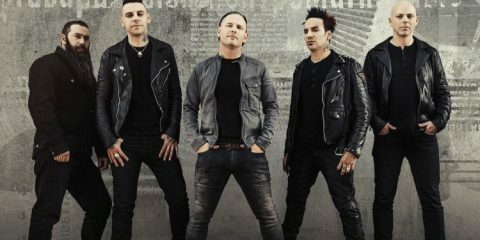 Here, the band shows a more progressive side. 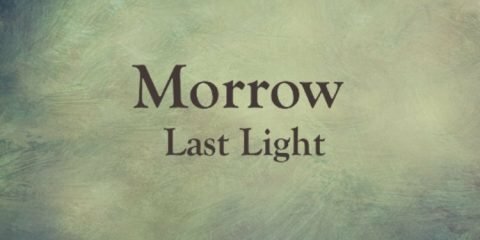 It could be interesting to see if they choose to continue that path in the future. 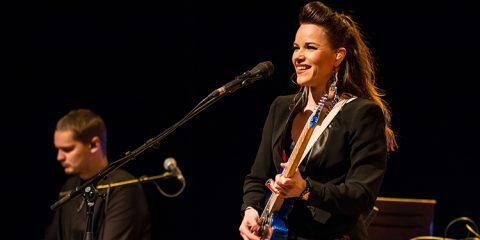 Towards the end of their set the band played more modern sounding material like “Edge of Darkness” and “Lover, Leaver.” The place erupted with the popular hit song “Highway Tune.” They segued back into the song “Lover, Leaver,” followed with an interlude of “Brave New World.” They finished the night with “Lover, Leaver (Taker, Believer)” and they concluded with a outro jam. 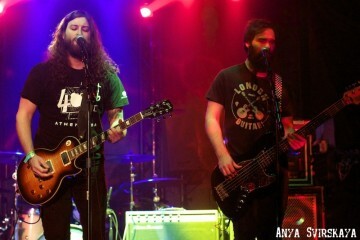 The set showed a lot of confidence on stage by the end of the night. 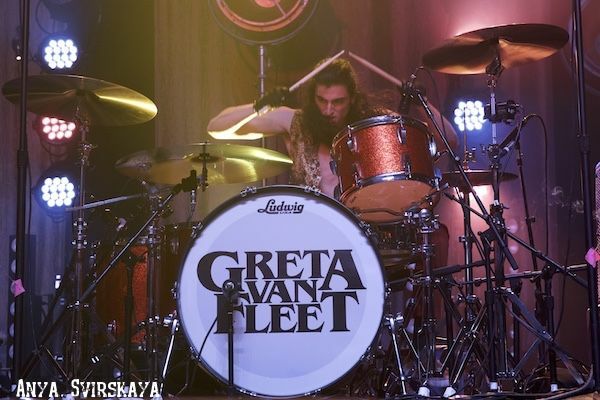 The venue had a decent sound, but Greta Van Fleet will have to start doing bigger shows in venues that are really designed for concerts. 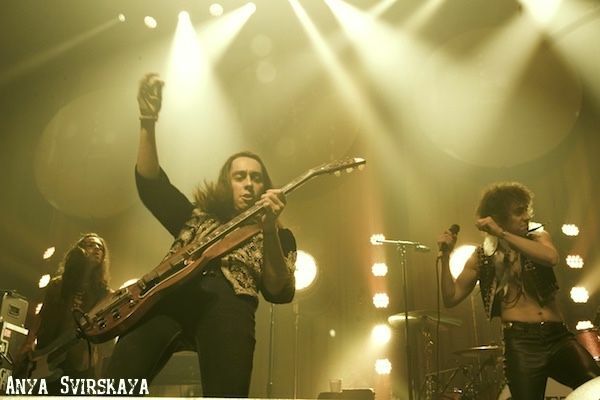 That said, three nights in a row isn’t something you hear often for an up and coming band. 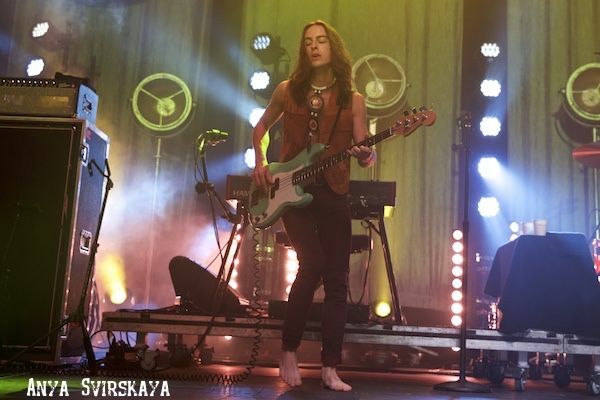 This tour may be audiences’ only chance to see them this close.